But life tells you no. All of a sudden, you have to run a different errand during your lunch break and now you don't have time to stop and get that cupcake, or you go to the break room and the vending machine is out of chips. IT GOT STUCK! The plastic around the cookie had gotten wrapped around the metal pieces that push the treats out. Okay, don't panic - Naomi had another dollar on her. She figured she would just spend the other dollar and save the second cookie for later. Besides if one gets stuck, a second one will push the other one out, right? Again, it's not that big of deal - It was just a cookie. But you know those times when you're really looking forward to something, and life tells you no? It's a little painful. It doesn't matter how small or how big it is, it's still a bummer. What about you? Have you ever had something like this happen to you? No matter how big or small it was - what was it? And what did you do about it? 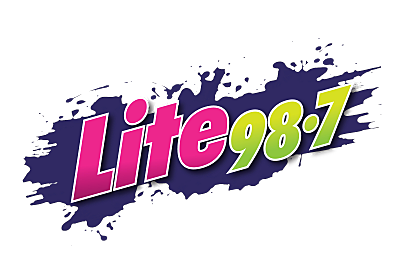 Let us know in the "comments section" at the bottom of this page, or leave us a note on our Lite 98.7 Facebook Page. Will Pizza Vending Machines Come to Central New York? MORE: Does Bad Luck and Good Luck Really Exist?